Do you think you have freedom to educate your child as you, the parent, sees fit? Do you look to the State for educational development/delivery for your child or have you selected private/homeschool options? If you have chosen private/homeschool options, it may not be much different than the public school education offered by the state of Alabama. The state not only controls the public development/direction of education, it will also control both private/homeschool educational development/direction. Watch this Alabama Department of Education Private School Licensure Meeting at http://www.ustream.tv/recorded/35665549. Let's just avoid the question on the HS front. Yes, you can teach your kids, as you like, as long as the umbrella school complies with everything needed around the 26-28 mark to get the license. Didn't that list of requirements include that all teachers must be state certified before they would offer the Umbrella school's license? Didn't it also clearly say that the curriculum must comply to state standards or as we all know the COMMON CORE standards? If our Umbrella School has to provide a list of curriculum wouldn't that again take the child's education out of the parent's hands? Doesn't that mean I have to teach what my cover school tells me to teach and I need to be certified by the state? I am a little shocked that this is being discussed in AL of all places, so maybe just maybe, the distress I'm currently feeling is keeping me from looking at this objectively. Does anyone else find it ironic that this guy was hired about the same time our state school board adopted the CC to receive additional federal funding. Why didn't this get down to the local level where our local elected school board reps could review all of this and bring it to our attention? Are they really working for our children or were they looking at all of those new federal dollars that would be lining their pocket and the AEA? Just curious and like I said maybe my shock is getting the best of me now. These private schools and homeschooling groups should know what is store for them in Alabama. It is mentioned around the 28 minute mark or so that tutoring must be done by an Alabama licensed teacher. Does this mean students cannot be taught by a parent who does not possess a state teaching certification? We recently wrote "Will Home Schooled and Private Schooled Students have to take Common Core Assessments" and state legislation about this issue being questioned by a private school in Deland, Florida. The school was requesting clarification from the Governor about language which seemingly indicated private school credits would not transfer to public schools in certain courses because the private school tests were not under the same assessments (common core) as the public schools. 9 program in which they are enrolled. 13 expenditure per average daily attendance. The Alabama Facebook commenter is correct. "Statewide assessments" = Common Core assessments. 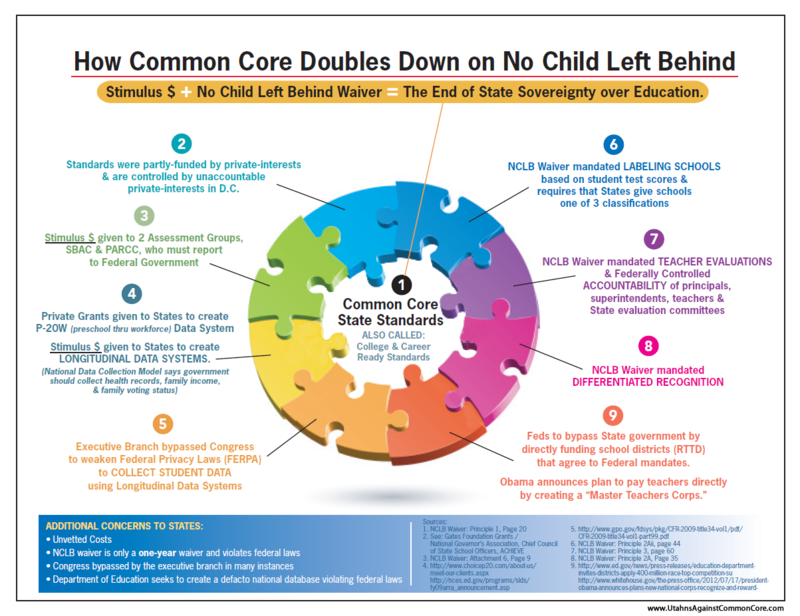 Bureaucrats will try to tell you assessments are taken from "Missouri Learning Standards" or "Alabama Learning Standards" to hide the fact that they are aligned to Common Core State Standards. Is a government entity dictating how/what private schools/homeschooling parents teach coming soon to your state? 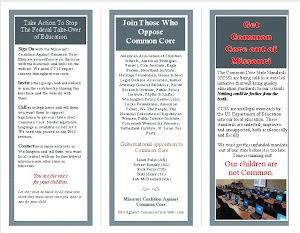 Private school parents and homeschool parents better watch their state education departments closely and be prepared to stop this invasion of their freedom to educate their children in the manner in which they deem appropriate. The Alabama State Department of Education is also creating a new unit: The Office of Non-public Schools. This new office will fall under the Office of Supporting Services. 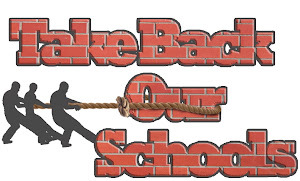 Why should public education create an office for non-public schools? Update July 28: Parents receive reprieve for now. Thanks, Melody. the36review.com is a great site and I appreciate you giving us this news! Thanks, Sharon. You all are doing great work in Alabama. You are right. This can happen in all states. Nothing happens in a vacuum. Sadly, I think this is connected to more control over anyone who just might not "go along to get along" in the overall government encroachment in education. What was revealed in Alabama shows just what "mischief" can easily be done by the education bureaucracy. Thank you, Missouri Ed Watchdog for highlighting this; I had an email from a young mom on Friday, the 26th (day of your post) with a link to this page asking if I had heard about this. And SHE lives in Alabama; her only child is on a private Christian school waiting list. You all helped get the word out to Alabamians! Thanks! You are welcome. What happens in Alabama will happen in other states. We all need to pay attention and turn back these power grabs of educational development/delivery.